Reed Migraine Centers - Founders and Inventors of the Omega Procedure | Reed Procedure | 4-Lead Procedure | » Projects » Physician Profiles » Reed Migraine Centers Partner Physician – Sukdeb Datta, M.D. Dr. Sukdeb Datta completed his anesthesiology training and pain medicine fellowship at Cook County Hospital in Chicago. He served as the director of the interventional pain management program and associate professor in the department of anesthesiology at Vanderbilt University in Nashville. 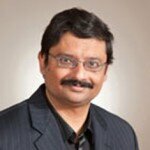 Dr. Datta is board certified in anesthesiology and interventional pain management. Dr. Sukdeb Datta is a recognized national leader in formulating guidelines for interventional pain management, and he serves on the editorial boards of several prominent medical journals. In addition, he is currently listed by Becker’s ASC Review as one of the 150 Pain Management Physicians to Know in 2012. He serves as secretary for the American Society of Interventional Pain Physicians, as well as serves on the research committee. Dr. Datta’s clinical and research interests are focused on finding innovative solutions to complex chronic pain. He believes in advancing the field by combining the best clinical research with appropriate evidence-based clinical practice. He is pleased to be a partner physician of the leading-edge Reed Migraine Centers, where clinical practice follows his own research in new treatments for neuropathic pain, including implanted neurostimulation.